Leading North East digital design and property experts Space Group, has entered into an agreement to support the University of Stirling’s world-class authority on dementia care design, the Dementia Services Development Centre (DSDC), to develop a ground-breaking design service to help people living with dementia, and their families. Space Group, in tandem with the DSDC, has set up the new Iridis initiative, which will create the world’s first app to digitally assess how suitable an individual’s home, care facility or other residential environment is, for older people and those living with dementia. The service will offer recommendations on what changes need to be made to meet British building standards and regulations for dementia care design, grounded in DSDC research. For over 25 years DSDC’s multidisciplinary team of clinical specialists, architects and designers have been promoting the importance of design for people with dementia. The Centre’s unique insight into what can be done to support people with dementia is based on research and evidence from academic and industry professionals. Now with the support and expertise offered by the Space Group team, it can offer home owners, and construction professionals a free assessment service that will improve living standards. Iridis will digitise, consolidate and update the DSDC’s Dementia Design Audit Tools currently only available through a guidebook, into one ‘App’. Stephen Brooks, Director at Space Architects commented on this ground-breaking new venture: “We acknowledge that there are variations of ‘Apps’ for guidance on dementia design principles and auditing the built environment, but none which have such a level of detail that have a direct and real-time results link to the construction industry. Dementia is one of the main causes of disability later in life, ahead of cancer, and in the UK we spend less on dementia care than on other major medical conditions. With an estimated 850,000 people living with dementia in the UK and numbers set to rise to over 1 million by 2025, there is an immediate need to invest in our aging population now to provide improved services and facilities to ensure a better quality of life for dementia sufferers and their families. From autumn 2017, the app will be available for anyone to use and will be free to access and download. It will address physical issues which impact upon sensory stimulation such as lighting, colour contrast and textures to aid day-to-day living, reinforcing memory and personal identity. It is intended that data collected from the app will be used for future modifications to Iridis, so that it can continually update the software and services within the app for the benefit of future users. The software programme will be machine-learning based, with algorithms specifically aligned to current research methods. As such, the data within the app will assist construction professionals by making recommendations on property design and refurbishment. 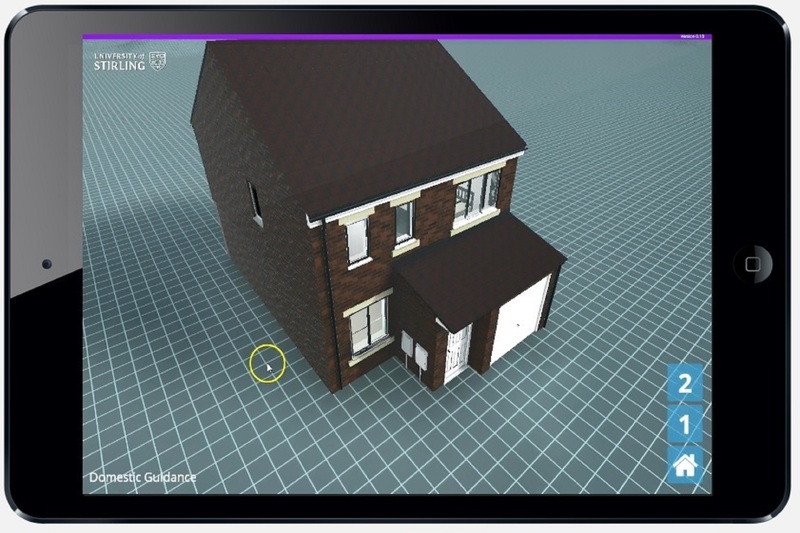 The app software will be aligned to digital construction methodology, with links to Space Groups Building Information Modelling (BIM) object provider; bimstore, where you can search and download BIM objects from construction product manufacturers which are specifically designed to meet dementia care design standards. The purpose of this is that within the app recommendations will be made on suitable products/product types which are dementia care design approved and can be specified and selected via bimstore. Stephen continued to say: “The software we have developed within the app is one of the greatest advances to date in dementia care design principles. Creating fully inclusive built environments is a considerable undertaking and highlights a new area under consideration for our ageing population. This software will offer designers and contractors new intelligence needed to facilitate and future proof dementia care design. The Iridis app will be made available for download from Thursday 21 September – International Alzheimer’s Day.